"Josh, our 7-year-old son with high functioning autism, has had 5 weeks of school so far. My husband and I have noticed a change (for the worse) in his behavior ever since he started. We suspect he is being bullied by a particular individual, but Josh has not come right out and told us if this is indeed going on. Any advice?" Young people with High Functioning Autism (HFA) and Aspergers, unfortunately, are at a higher risk of being bullied or teased than other children. This can happen on the playground, in the classroom - and even in your own home. Because many HFA kids have some social and communication difficulties, they often can’t tell grown-ups exactly what is happening. Thus, parents and teachers may have to consider bullying as a cause when certain behaviors occur or worsen in the child. One of the things you’ll notice is an increase in isolation and a decreased tolerance in being around peers. The HFA child may throw temper tantrums or flatly refuse to acknowledge other children, even those that he or she is normally comfortable around. 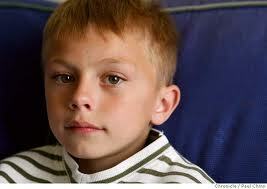 Enuresis or encopresis may be a side effect of being bullied. A youngster who has been potty-trained completely may go back to soiling as a way of handling the stress of being bullied or teased elsewhere. Very rarely will the HFA child tell parents or teachers directly about the bullying. Instead, the adults will find that the child has regressed with behaviors and skills that he or she has already accomplished. Instead of believing this to be an “off day” or an “off week,” parents and teachers need to consider that bullying or teasing is happening. If bullying is happening in your own home, it requires that you remain aware of what is going on in your household and stopping the behavior before things get too serious. If you suspect it is happening at school, then consider observing what is going on in the classroom or talk to the teacher about your suspicions. Hopefully, the teacher will be your son’s advocate in the classroom - and you can expect that the teacher will be able to intervene in any bullying that might be happening. Bullying, unfortunately, is a risk that parents of HFA children must always consider. Keeping a sharp eye out on changes in your son’s behavior and advocating for him when necessary should help him thrive in an otherwise complicated environment with peers who simply don’t understand his issues. • Anonymous said... Just keep a really close eye. This happened to my son and we saw no signs until he was at his breaking point. Needless to say there is no more public school for us. Kids are cruel and teachers often don't have the resources to be everywhere at once. • Anonymous said... My daughter has had this problem and I'm sure will continue. She would not tell us anything about it, she actually pretended to enjoy going to the place that this was happening. We only found out about it from another little girl and even then my daughter pretended that she was trying to help someone else that was being picked on and the boys turned it in her. Almost like she was herself two different people! She still does not tell us anything about what happens at school and I try to pull a another child to the side to ask how she is doing in school! My daughter, I believe, is embarrassed and ashamed by it. I would suggest making sure he knows its not him and he needs to tell, a nice call to the school and the bullying child's parents also! • Anonymous said... Whenever I would talk to teachers about my son coming home bruised, ketchup smeared or mere reluctant to go back to school the next day, there never was an explanation. Nobody ever saw him being bullied. Sometimes my son would say something out of the blue two weeks later. Public school is no longer an option for him, if I want to see him get through School. We have finally decided to homeschool him. Once he found out that he is not going back there, all that anxiety is gone. He stopped biting his nails and he is now a jolly happy 7 year old contently riding his bike or playing lego, humming and singing all the way! I do realize that he is still a target in the neighborhood. I try to keep a close eye on him and talk to him about behaviour that provokes kids to mistreat him. Hopefully it works. • Anonymous said... I would start talking about bullying in a neutral way. That might encourage him to open up. • Anonymous said... It is tricky to ask the right question since the HFA/Aspergers child has a tendency to be so literal. • Anonymous said... We had quite the "experiences" throughout my son's school years and we didn't see "eye to eye" with all the staff BUT there was never a time where I ever felt uncomfortable with expressing my concerns to the staff and asking them to keep an extra close eye out during our most difficult times (when we felt bulllying was taking place). Always utilize your resources. The staff is there to help be your eyes and ears when you aren't able to be around. All you have to do is ask for the help. Good luck! • Anonymous said... I dont think all kids with Aspergers always know when they are being teased. My sons school is awesome. They even noted on his IEP that they need to be more aware of teasing and bullying against him. Because he may not always recognize it. • Jenny said... Our son had rocks thrown at him by a neighbor kid. Yet he still considered them his friend. I had to explain to him what true friends were and how they should treat you I'd they we're truly your friend. He was sad about it, but it did help him understand why they couldn't come over. • Anonymous said... Many times they will not come out and tell you this is happening. It's like pulling sharks teeth just to get my son to tell us what he did at school that day. You're going to need to talk to his teacher. • Anonymous said... I heard so and so was doing mean things to someone, can you help me understand what is happening at school. what have you seen xyz do or say? • Anonymous said... My Son has major challenges at camps over Summer/Winter breaks with behavior. Alas, it's due to anxiety and lack of daily routine and structure. Consider those issues as well. Good luck. • Anonymous said... As long as the team there doesn't look after it, you shouldn't let a 7-year-old child stay there. (Regardsless of AS or not. Kids can be severly mean.) Your son cannot handle it alone and may be injured, either physical or psychical.